To use all of these you’ll need to open the command console (Ctrl + Shift + C).Enter the desired cheat code into the input field that appears at the top of the screen. help - Outputs all commands available to the player in the command console. death.toggle - Toggles the true/false value of death – when off, death is disabled and no sims will die. freeRealEstate [on/off] - Only available to enter when in neighborhood/world. When toggled on, home purchases are free. When toggled off, homes costs the usual amount. fullscreen - Toggles The Sims 4 full screen mode, on or off. headlineEffects [on/off] - Disables “headline” effects including plumbobs, thought balloons, etc. so as to not obscure the player’s view. kaching - Adds 1000 Simoleons to the active household’s funds. motherlode - Adds 50,000 Simoleons to the active household’s funds. resetSim [FirstName] [LastName] - Resets the Sim named. rosebud - Adds 1000 Simoleons to the active household’s funds. Pressing Shift + ] - Increases the size of the object selected. 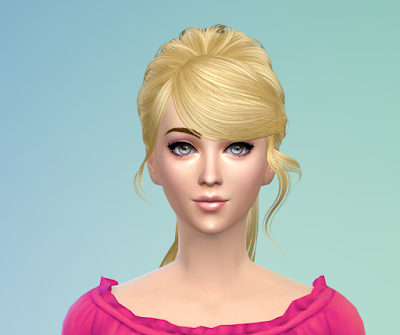 cas.fulleditmode – allows all Create a Sim abilities. Reset Object – Resets the sim. Add to Family – Add the selected sim to the current household family. Cheat Motive, Make Happy – Fills all motive/need bars and give the Happy Mood. Cheat Motive, Disable Motive Decay – Motives/needs freeze. Modify in CAS – Edit in CAS, except name and inherited traits. Make Dirty – If the object can become dirty, it will. Make Clean – If the object is dirty, becomes clean. Teleport Sim – Immediately teleports sim to selected position. You can max out skills in The Sims 4 using the cheat codes below. Open up the cheat console (CTRL + SHIFT + C) and enable testingCheats with testingCheats true and then enter the following cheat codes, after selecting a sim, to max out their desired skill. To select the exact level for your sim to be boosted to, simply fill in [1-10] with the level required. You can force promotions in The Sims 4 using cheats. Simply open up the cheat console (CTRL + SHIFT + C) and enable testingCheats with testingCheats true and then enter the following cheat codes, after selecting a sim, to promote them in the specified career track. Using the following cheats takes you beyond the standard tuning and flow of gameplay so you may encounter hiccups or oddities.These cheats are extensively used while devloping the game.These cheats are originally posted by SimGuruGrant on the sims forum. Automatically Pay Bills: Do you hate bills? Fret no more. Want to automatically answer dialogs that pop up on screen? This cheat will choose cancel if available or select between the choices given. Do you want to complete your current Aspiration Milestone? Want to add any career to your Sim? Want to get a demotion? For <name>, type the name of the career. Want to speed up crafting? Or, something? This one’s not entirely obvious, but it can speed up some parts of crafting (painting, woodworking). Want to fix everyone’s needs? sims.fill_all_commodities for just one Sim. That’s for just one Sim. Want to add a specific amount of money? This will add the amount you specify to your family funds. <amount> is the amount you want. Want to get rid of your Moodlets? Want to spawn random groups of Sims? Replace <#> with the number you want. BE WARNED: If you put in a crazy number, the game will break. MOVIE MAKERS. Want to disable headline FX? Note that this doesn’t remove plumbob.